Not sure of the date - probably 1920s. It may be possible to identify the boulder - if it wasn't moved during dam construction work. 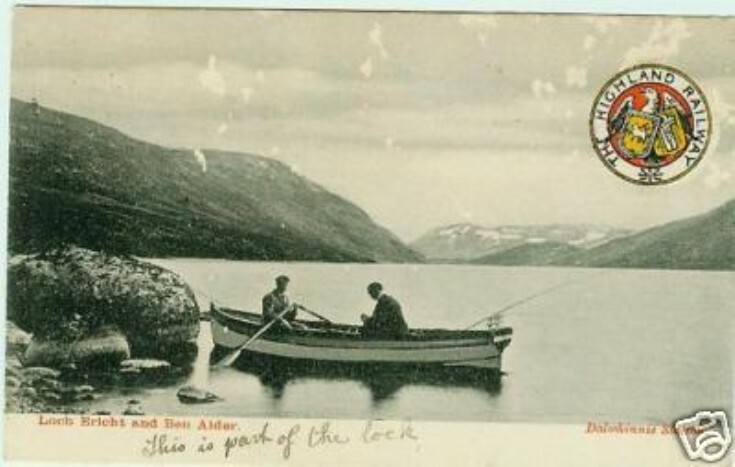 Title could be "Fishing on Loch Ericht long ago".